Today is Father's Day and as I was thinking what I would post I started looking through some pictures that I have stored and I came across this one. 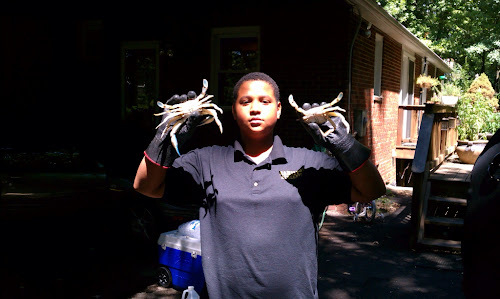 In this picture we have my God son, Cameron, cooking crabs for the first time. It was the first time that he had really touched one. Even wearing those thick gloves he was still nervous being pinched. The other guy in the picture is my Dad, who I refer to as the old King. 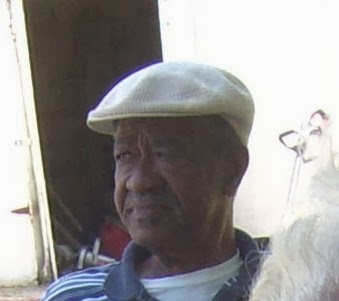 I know that this isn't the best picture of him but, with half his face gone but it illustrates an important thing about my Dad. 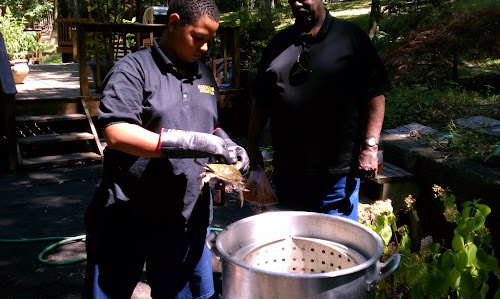 Like with Cameron he was showing him what to do, the same way he taught me when I was younger. In the end Cameron cooked a fine pot of crabs and he got confidence enough to do this pose for me with the last two. Happy Father's Day to all of you dads out there. Act as if being a Dad is great!